What is a city if not a clearing in a forest? And what in turn is our little Norbiton, if not a clearing in the forests of the city? But for all that we enjoy the sunlight, here in our clearing within a clearing, and measure our actions against the procession of the open sky, the soul from time to time is recalled to the shadowlands of the trees. They are never far away. In a city of human proportions, it is enough to strike out beyond the city walls, cross a narrow stretch of hinterland—in the Florentine contado that would be dairy farms and brickworks and watermills; in our case suburban Canbury—and step into the forest. Any direction will do. There, at large in the grotesque anti-matter of the city, a place of magic and beasts, centaurs and dryads, Diana hunting and Actaeon fleeing, there you can speculate, for a while, on the bliss of arboreal living; or, if you have the gumption to ascend, you can enjoy a treetop blend of jeopardy, concealment, isolation, and curious views, dwell in some treehouse, dissolve into the forest. Hunter Sidney holds that Norbiton: Ideal City being configured as it is, the forest overlies, rather than surrounds, the city. You step out into it merely by losing concentration for a moment. The lion prowls Jerome’s study at all times just as books litter his wilderness retreat. But Hunter Sidney is by his own admission particularly alive to the fact of the encroaching darkness. It has him, so to speak, by the throat. I think we can be more precise, and can after all supply a geography. We can distinguish, for one thing, our urban silviculture and the Forest beyond. Norbiton silviculuture is mostly plane trees erupting from the paving stones, like stock-brokers transformed at the touch of a whimsical, rather than lustful, Apollo. 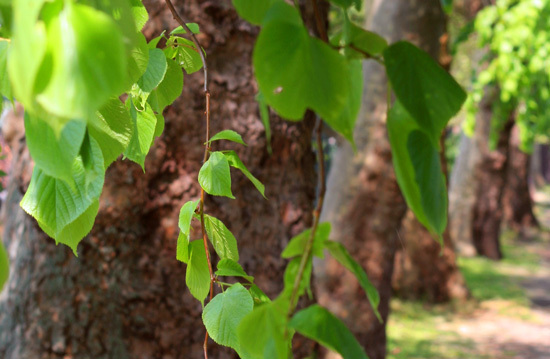 The London plane is not a real tree, but a tree designed for urban environments; it has compacted roots and can breathe polluted air—as the aspidistra in the nineteenth century flourished as a houseplant in the miasma of gaslight emissions, where other plants wilted. 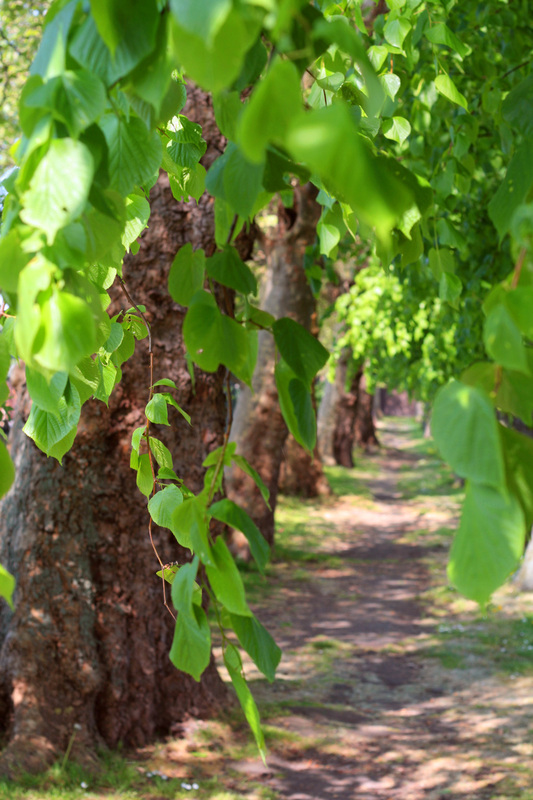 You would not climb up into the London planes that line the boulevards of Wolverton Avenue and Norbiton Avenue, for instance, and make your home there. You might at a stretch climb the lime trees which line the Rec., or cocoon yourself in the thick cypresses which dot the cemetery; but the cypresses and the limes do not interpenetrate: they are isolated settlements, not evolved cities of trees. An arboreal life is out of the question. You might, however, enter the ancient wilderness of Richmond Park, and set hand to branch, ascend and not return. Richmond Park is not a park but a loose-woven forest dotted with motes of significance—Pen Ponds, or the Isabella Plantation—and accessible via wrought-iron gates: the Kingston Gate, the Robin Hood Gate, the Richmond Gate, and so on. The park lies beyond the Empirically Real City and beyond the hospital, a tangled mass. Unlike Kingston and the hospital, it does not exert its effect directly—there are no routes to the park that cut through Norbiton. However, this whole region of London is controlled by the park, which sets up ripples and turbulence at its margins, bends roads out and around it. At night the gates creak shut, the sluggish trickle of daytime traffic is choked off, and Norbiton groans and shudders in the night shadow of the strange tumescent place. To reach the park from Norbiton entails crossing a tract of Canbury—Wolverton Avenue and Queen’s Road. At the mouth of Queen’s Road and watching the approaches to the park like a castle of the Marches is the Albert Pub. In the Albert you are still in the realm of urban silviculture and its deceits; but as you sip your pint you are lurchingly aware that at your back the material world has bolted beyond control. Why do we people the wilderness? We people it with dryads, horny gods, lions, the devil. In the wilderness there are predators, we are watched, and if we are not watched then we had better behave as if we were. The wilderness is a panopticon. If it is not wild animals, ghosts, bandits, then it is the trees themselves, the rocks. The Lord your God walked mildly about in the originary wilderness, his Eden, shaming his cowering subjects in the knowledge that he would see them. 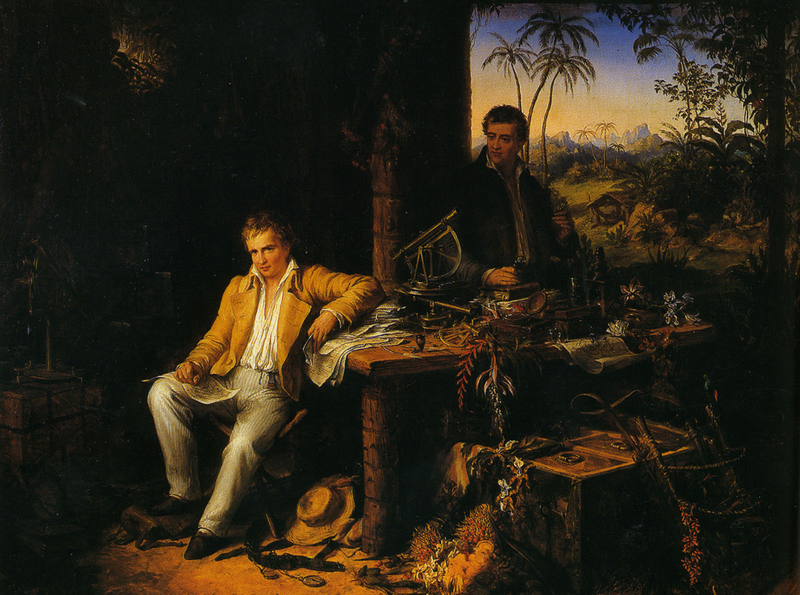 Alexander von Humboldt, great explorer of the Orinoco, saw the people in the forest. In 1800 or thereabouts Alexander von Humboldt, in the company of his friend, the botanist Aimé Bonpland, pitched his tent in the rainforests of South America, marvelled for a moment at the various embellishments of the tropical baroque, sharpened his pens, laid out his specimen jars, and started to take notes. 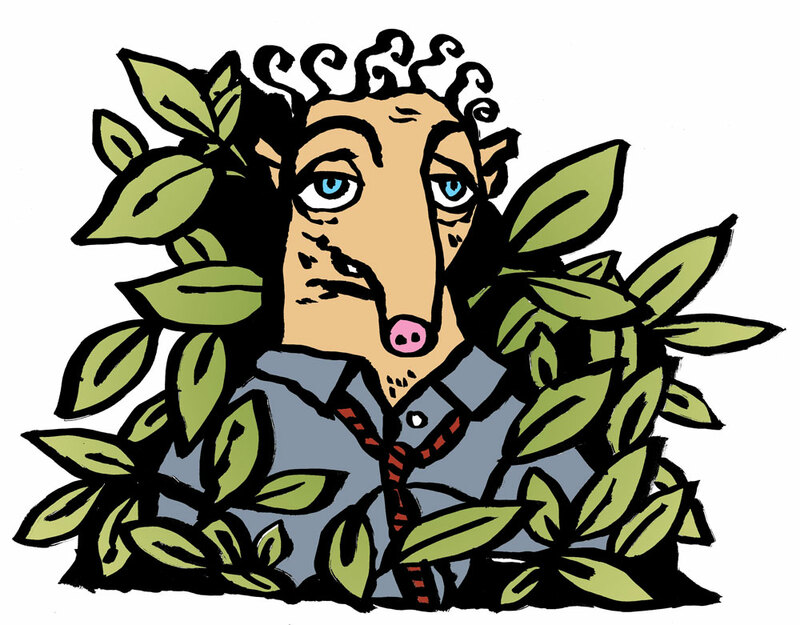 The forests of the Amazon and Orinoco (like anywhere else) are a white noise of competing, interfering orders. Each individual creature understands the rainforest in its own pragmatic way, analogous to or divergent from the way others of its species understand the rainforest, and others of its genus and family and so on up or down the chain of creation. A vast humming overlay of mutual (in)comprehension leading by statistical and evolutionary elegance to a sort of teeming, irreverent order. It must have taken some stones to conceive an inventory of all this, but Humboldt grappled the miasma of forms to the ground, captured and pinned and described insects, stuffed birds, bottled worms, pressed leaves, collected seed, sketched the ruins of forgotten cities, noted the habits of jungle people and Spanish missionaries, traced the distribution of volcanoes, charted the transit of Mercury, and gloried generally in his own booming vitality. He took away only a fraction of the place, but from that fraction he was able to derive his great interlocking description of everything, Kosmos, first published between 1845 and 1847 and subsequently revised, expanded, inflated. There are forests malign and benign. Humboldt had no doubt into which category the forests of the upper Orinoco and the Casiquiare fell. He was endlessly struck by the absence of people. In the Andes, he notes in his journals, you are never more than a mile or two from some hut, some tiny settlement, some population. Out here, in the densest forest, it was as though humanity had been compressed into the rotting mat of the jungle floor by a physics peculiar to the place. And in the absence of people, the forest became an unreadable field of competing intelligences. A wilderness. Only in such a place, we surmise, could Jerome tune to the legion voice of his strange, non-human god; only in such a place, could Humboldt dismantle and rethink the foundations of all knowledge. And yet the forest was not empty. 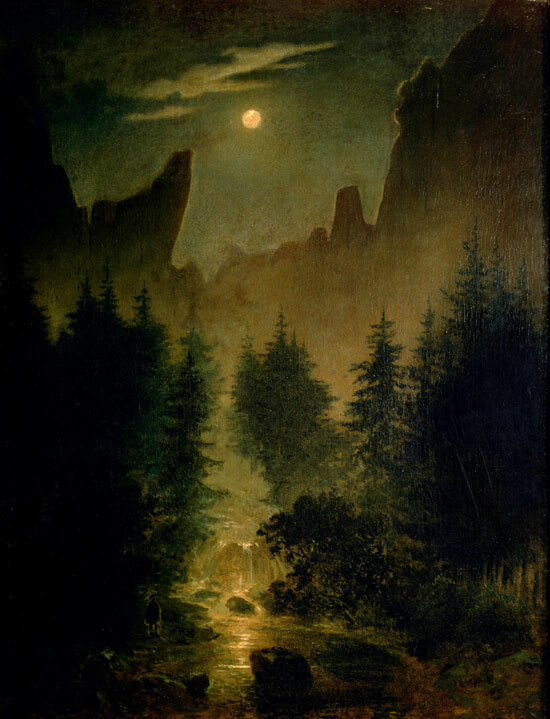 Humboldt was less interested in classifying new species, in the end, than in understanding how the species he found there were governed by underlying truths of geology or landscape; geology and landscape also govern the social organisation of the inhabitants of the forest. 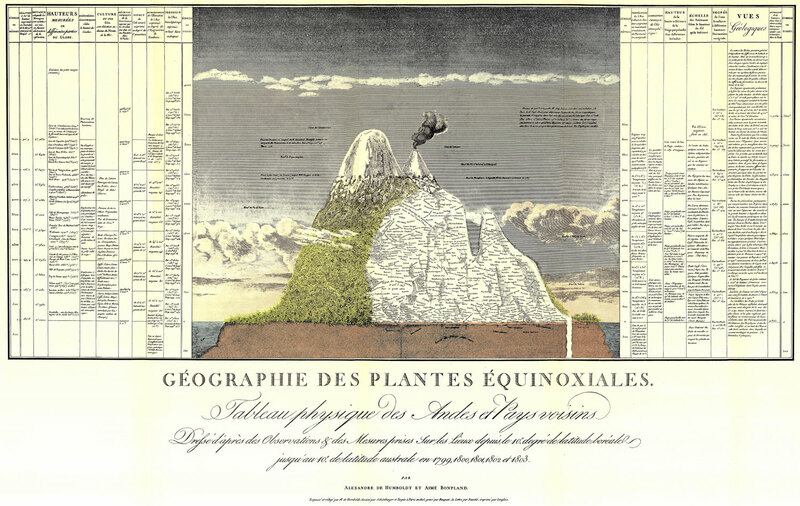 For Humboldt’s forests of the Casiquiare and Orinoco were peopled forests, his vast meandering cosmic writings thereupon social as much as scientific. If the forest felt empty, it was because it had been depopulated, whether by missionaries, disease, white conquerers, cannibal headhunters. They had retreated from sight. His advance was finally stopped by weariness, sickness, and rumours of poison darts criss-crossing the dark boughs. But before he turned back downriver, Humboldt fantasised great riverine economies proliferating there in the forest, that tangle of rivers which currently cut the land to ribbons become productive waterways, carrying goods, people, civilisation. In some distant future, he foresaw incorrectly, all this would be laced together by the harmony of commerce. There is, properly, no wilderness which is not or has not been home to someone. The Amazon forests overlie great stone cities; the benign forests of North America were streaked through by the gaiety of fleet-footed tribes. Humboldt of necessity confined his botanical and zoological attentions to the forest floor, but noted, craning his neck to the distant sunlight, that the forest canopy is a forest above a forest. The canopy is roughly 35-40 metres above the ground, about ten metres thick; and it contains 50% of the plant life of the forest, and 90% of the animal life. 95% of all photosynthesis done in a rainforest is done in the canopy. It is, in a sense, where the forest happens. Above the canopy is the level of emergence, known as the overstory, where the tallest trees sway above the green waves. Below the canopy is the understory of lesser trees, and then the shrub layer. The forest floor is a murky, silent, scuttling world. Queer, like the bottom of the ocean, subject to excessive survival pressures, turning out big spiders and rot-eating millipedes, and tapirs all intestine, and ants, organised for victory, swarming over the grinning carcasses of the monkeys that have dropped, drunk on fermented fruit, from the gilded realms above. The forest floor is the forest of Pan, not Apollo; of centaurs, not men. You can get yourself into the trees, these days, with hoists and harnesses. You can swing about up there in the clear airs, with the birds of paradise. Humboldt had no such apparatus. He lay in his dugout canoe, infuriated by the insects, dreaming, perhaps, of a scientific ascent, jars and nets and notebooks and coat tails ornamenting his ecstatic arboreal assumption. “A few forest trees were also in blossom; and it was truly a magnificent sight to behold a great tree covered with one mass of flowers, and to hear the deep distant hum of millions of insects gathered together to enjoy the honeyed feast. But all is out of reach of the curious and admiring naturalist. It is only over the outside of the great dome of verdure exposed to the vertical rays of the sun that flowers are produced, and on many of these tress there is not a single blossom to be found at a less height than a hundred feet. The whole glory of these forests could only be seen by sailing gently in a balloon over the undulating flowery surface below: such a treat is perhaps reserved for a traveller of a future age." We are sitting in the Albert, Clarke and Hunter Sidney and Emmet Lloyd and I, and Emmet Lloyd shows us a pamphlet he has picked up with on it a picture of the dendronautilus. The dendronautilus is a dirigible or airship designed for life above the forest canopy. 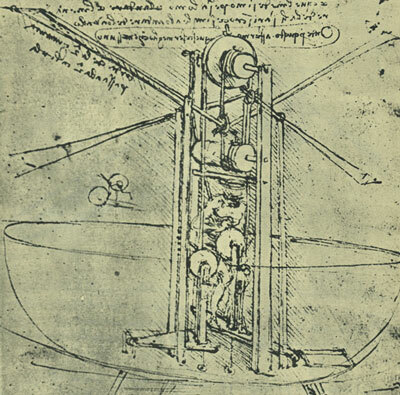 You would equip the gondola, I imagine, with a small laboratory, a living area, perhaps a small veranda; you would live in it for weeks, months, even years, floating over the inexhaustible forest, picking specimens from leaf tops with extensible pincer arms and suction tubes, trawling for beetles with mesh nets, tagging birds of paradise, having a sundowner on the veranda while you flick through Humboldt’s Kosmos; the mud and heat of the jungle floor would be half a universe away. Emmet Lloyd sees the dendronautilus, he says, as an investment opportunity. Big scientific institutions, MIT, the Japanese, will pay for rival fleets of these costly vehicles. Perhaps the rivalries will generate international tension, skirmishes like the cod wars, boarding parties, piracy. There is little practicable competition, he explains. The beauty of a dendronautilus is that it is non-invasive. You glide about in the canopy and emergent layer like gods of the middle air, party to but not part of the treetop squabbles of howler monkeys, the death struggles of slow lorises grappling big insects, the rainbow display of birds. Clarke says that you don’t need an airship, you could just build a tree house. You could carry flatpacked treehouses into the interior, raise them into the canopy with vines. You could then lodge an entire research community deep in the jungle, just as they have at or near the South Pole. With an interlocking series of canopy accommodations and laboratories connected by rope walks, scientists could live there indefinitely, at one with the canopy and their suctioned rations; in such a scenario dendronautilae could plausibly function as public transport. Clarke then suggests to Emmet that we construct a prototype of a modular tree-top research city in Richmond Park. 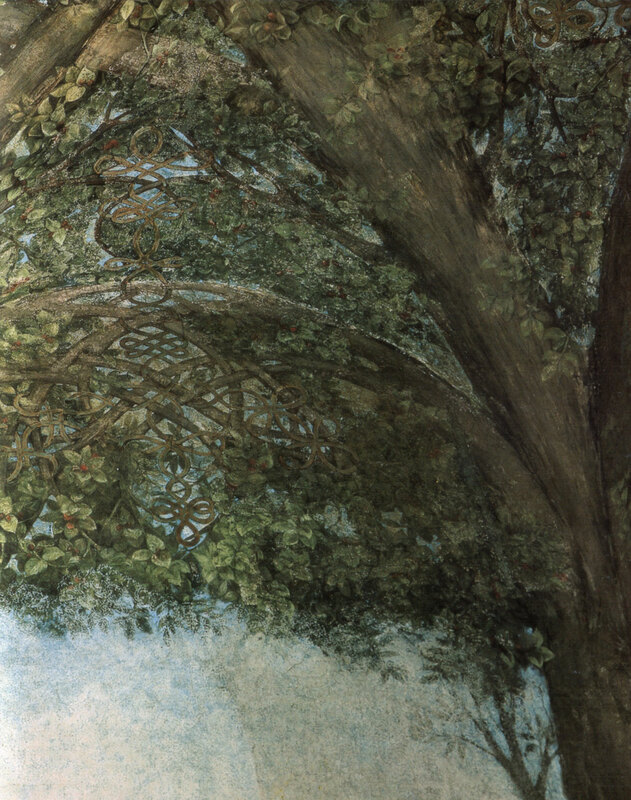 He recalls a story, probably untrue, of a man who built and lived in tree houses in Central Park for months and years, eluding the park authorities, gliding away as they approached, melting into the treetops, only to re-emerge weeks later with a superior construction, deeper in the canopy. Park officials who took them down marvelled at their sturdiness, their constructional economy. Finally they caught him, and gave him a job as a tree surgeon. Emmet counters our objections. He says that these ideas have already been considered or tried but were ultimately counterproductive because they intervened in the economy of the canopy. A dendronautilus could observe without interfering. But we aren’t listening to him now, the conversation has turned to submersibles—we could build a submersible and explore the bed of the Hogsmill river, or Penn Ponds on Richmond park; then back to Dendronautilae—we might develop an urban version, an Urbanautilus, or better still a Suburbanautilus, floating over the rooftops, the emergent layer of the high-rise estate, discovering attic tribes and undescribed chimney pot bird species, peeling away roof corners and peering into the hitherto unknown world of the inhabitants, their first floor, upper storey lives. The Roof Peoples of Outer Norbiton. 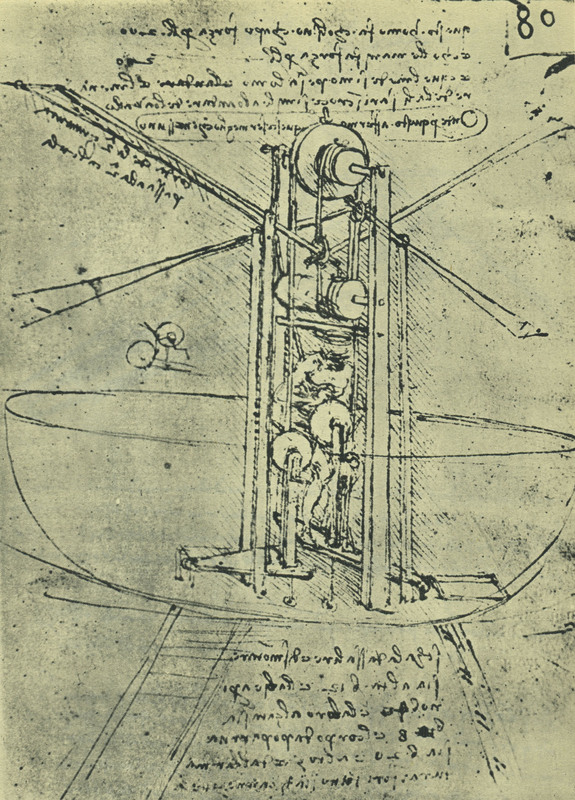 Did Leonardo da Vinci design a dendronautilus? If I looked back through his notebooks of hotchpotch contraptions, flying machines, submersibles, might I find hidden there, overlooked, a design for treetop arboreal exploration? Probably not. 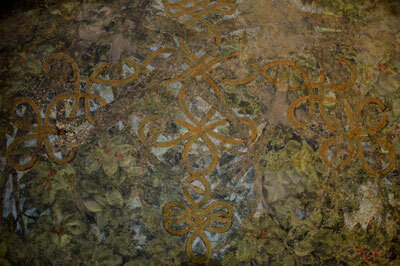 But in 1498, at the insistent request of his patron, Duke Ludovico Sforza, Leonardo decorated the vault and ceiling of a room of the Castello Sforzesco in Milan with a grove of painted mulberry trees, their branches intertwined in intricate and symmetrical knots, turning a private and interior space into the semblance of an exterior one. We like to think of building and non-building as distinct categories. We return stray wildlife to the outside (wasps, small birds, flies if they’re lucky), and potter around with draught excluder and sealants, and set up systems of quarantine (doormats, porches, terraces) to manage the transition from one to the other. Buildings are buildings and they are made of brick and glass and other impervious materials. The outside is made of everything else, and has a wayward mind of its own. The Renaissance eye, by contrast, was quick to see the tree in the column, and vice versa. This sensibility had both a classical and a gothic pedigree. Vitruvius, from whom the Renaissance got its architectural theory, had satisfied his lust for aetiology by interpreting the columns and entablature of classical architecture as a sort of petrified primitive carpentry. Gothic masons, too, had been quick to read natural forms into columns and capitals: their cathedrals and churches sprout carved vegetation, foliage and green men with prolific ease. It was in this context that Leonardo da Vinci was able to conceive his forest room. However, while the geometry of the trees and the spread of the canopy respect the underlying architecture, they do not elucidate it. To stand in the room is to experience disorientation. It is, in spite of all reason, hard to read the room as a room, with a regular architectural scheme. The illusion of paint overpowers the actuality of plaster and panelling, and the geometry is lost in the forest which originated it. The only intimation of intellectual clarity lies, paradoxically, in the weave of the branches and the knotting of the gold thread which interlaces them. The scheme plays on contemporary taste for a design known as the fantasia dei vinci, originally developed for the Este family and imported to Milan by Beatrice d’Este, wife of Ludovico Sforza, who wore it as a filigree thread in her court dress. 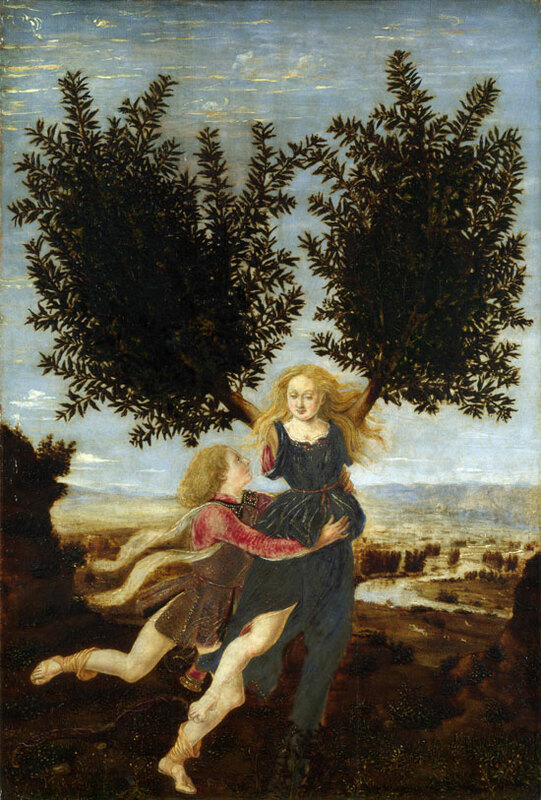 The double play on ‘vinci’ (punning on vinci, osiers, as used in wickerwork, and vince, she conquers) was taken up by Leonardo, in part because of the additional and mesmerising play on his own name, but in part also because of his obsession with the construction of knots and knot devices. Knots were geometrical entities which not only represented but informed the created world; they were neither independent of matter (something is always knotted) nor wholly dependent on it (matter—for instance a piece of gold thread—can pass through a knot without altering the identity of the knot). The cosmos itself, it might be said, was an elaborate knotting together of chaos. 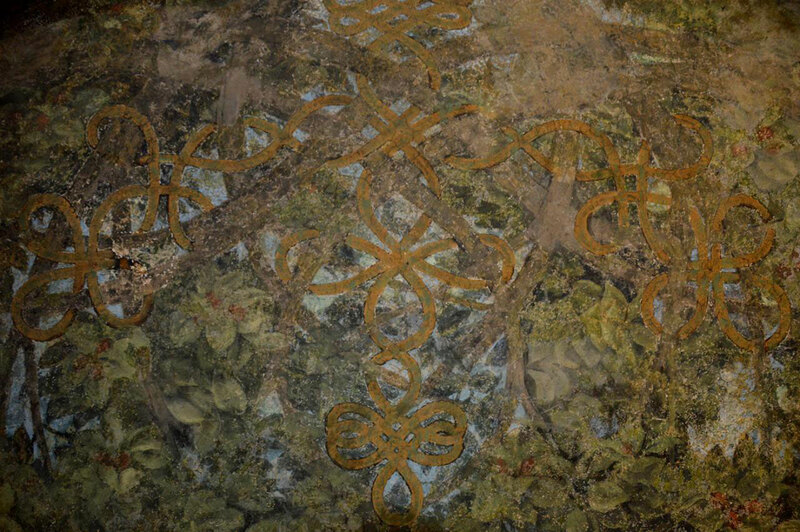 In any case, the whole room—knots, symmetry, forest—is clearly an impresa or signifying device, the meaning of which has been linked with the union of the houses of Sforza and Este in marriage, and the dissolution of that union in the death of Beatrice d’Este in childbirth in 1497, an event which seems to have precipitated the decoration of the suite of rooms. Forests are associated with loss of identity and with spiritual crisis. You go to the forest—Forest of Arden or selva oscura—to lose yourself or find yourself. The forest is where the wild things are, and you are the wild thing in question. Who knows whether the old Duke in his delirious grief bounced off the walls of the Sala delle Asse, or its near neighbour, the Black Room? I suppose it is doubtful. This was a court, after all, not a Bluebeard’s castle, and there were public forms for grieving. A court in the quattrocento was a particularly fluid play of interiors and exteriors: private grief is given public form, public treaties are made a family matter, your levée and your stool are attended by near-strangers, matters of state are the business of the prince’s private conscience, and so on. And it was over this odd world that Leonardo’s sylvan imagination was allowed to dilate. The ideal court, he seems to conclude, like the free cities of the medieval imagination, is a series of groves or clearings in the gloomy thickets of the world, a knotted harmony of inside and out. Standing at the urinals there in the Albert, I am struck by the realisation that in order to operate a dendronautilus, you would need a clearing, somewhere to set the great beast down. There in that clearing the scientists would disembark, potter with their specimens, stretch their legs, put up their noses, perhaps, at the earthy element beneath their feet just as I put up my nose at the stink of piss; but above all, they would think clearly. Tomorrow, they know, they will return to the skies, daintily skirt the tips of the trees, and observe little purring worlds in motion. It is at this moment precisely that I conceive of the Anatomy—our vehicle not of exploration, but of engagement, in whose spacious and well-appointed cockpit of the mind you, reader, now sit. Humboldt now is converted to a great sprawling geography of his own, an underlying Patersonian giant—he informs our world as cities (in California, Illinois, Kansas, Minnesota, Ohio, Tennessee etc.) and counties (California, Iowa, Nevada) and mountains (Colorado, Venezuela) and mountain ranges (Nevada, Antarctica, New Zealand) and forests (California, Nevada, New York, Cuba) and one colossal sinkhole (Venezuela) and glaciers (Greenland) and bays (California, New Guinea) and waterfalls (New Zealand) and rivers (Nevada) and ocean currents (Pacific), and craters and seas (moon) and asteroids (space). Not to mention museums (Berlin) and schools (Mexico, Germany, Chile, Peru, USA) and foundations (Germany) and universities (USA) and airports municipal and international (Canada, Iowa, Tennessee) and a Peruvian oceanographic ship. And animals (a bat, a monkey, a penguin, a skunk, a squid, a dolphin) and plants (an arum, a cactus, a lily, a mushroom, an oak, an orchid). He is a man translated. One of Humboldt’s disjecta membra, one of his great limbs, is Humboldt County in the far north of California. Not a land he ever visited. Humboldt County is named for Humboldt Bay, an inlet first visited by European sea otter hunters around the time Humboldt himself was returning from the Orinoco Basin via the Eastern USA. The bay was home at the time to various native American tribes (the Wiyot, the Yurok, the Hupa, the Karuk, the Chilula, the Whikut, and the Eel River Athapaskan peoples). Humboldt County is home to roughly 40% of the remaining old growth coastal redwood trees. They forests are colossal and benign. To walk on the forest floor in these forests is to shrink and glide between the great boughs, a small descended creature, dislodged atom of the forest, experiencing a moment of atavism, of genial return. The trees, in such a forest, seem a community of moral beings. They are not. But they index and align in easy files to the spacious mind of whoever walks them. During World War Two, the US Navy operated an auxiliary base for blimps from Eureka, capital of Humboldt County, which stands on Humboldt Bay. 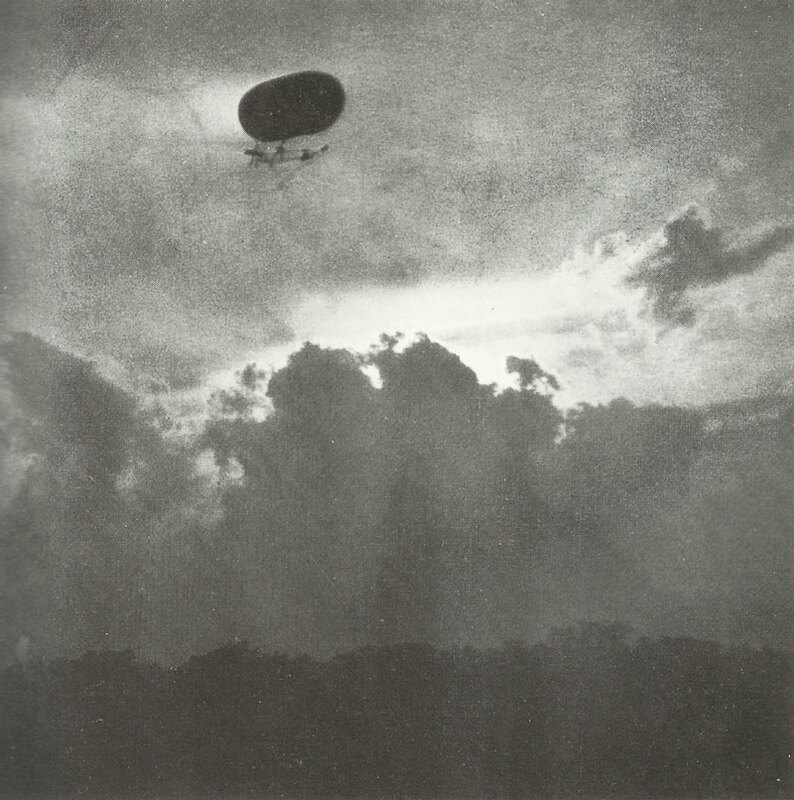 The blimps were designed for anti-submarine patrols along the coast and around the bay, but I imagine them rising at dawn into the thin airs and turning their noses up along the coast, groping their way along the forest line, barely topping the trees, perhaps skirting the forest line where it comes down to the ocean. The war must have seemed very distant. Up there above the canopy, war or no war, it is just you, your schizoid ship, everything and nothing. All this, however, lies far in the future. For now, down there somewhere, let us not forget, in the murk at the bottom, is Humboldt the man, with his trestle and his camp chair, his britches and his sweat, addressing himself with pen and ink to what he calls the accidental individualities of the cosmos while the cosmos curls its arabesques around him. The forest is his profound entanglement. 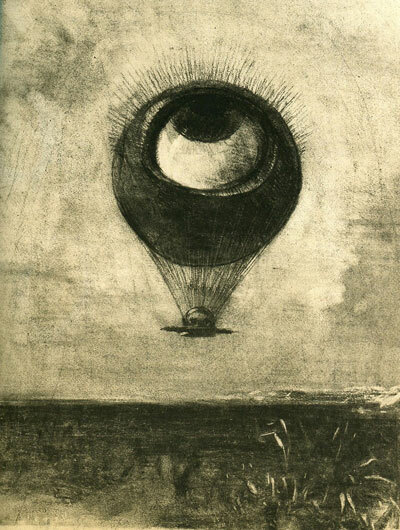 I do not know that the same can be said of us up here, in our mental dirigible. We are not yet entangled. Will we crash? Do we wish to crash? It would not be our first, nor our last, great fall. Plunge the stick earthward and in slow grim ecstasy tear through canopy and understory and shrub-line until we crumple, still buoyant and exotically voiced with escaping heliums, into the originating mulch. Or perhaps—why fool ourselves?—we have long since crashed the great Norbiton dirigible into the thickets below, stepped smoke-haired and dazzled by our own survival out into wonders of marsh, mud, damp, of lost and overgrown city. We are part, now, of what we study. Ineluctably. From the wreck, in fact, the whole forest springs: as though its cargo of greenhouses, its carefully docketed and separated seed stores, had spilt shivering glass and multitudes of species over the fecund earth, and made the very thing we had thought to inspect.